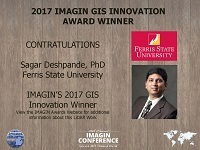 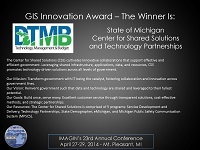 IMAGIN’s GIS Innovation Award is presented to an organization that finds innovative ways to use geospatial solutions to enhance workflow processes. 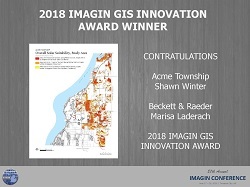 Candidates for this award should have successfully implemented a geospatial technology, service, or application that is new and innovative to their organization. 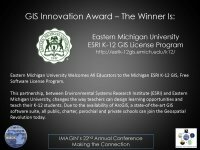 Applicants will be judged on collaborative efforts, contribution to the workflow, and original ideas. 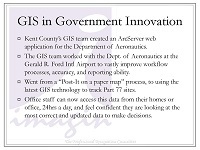 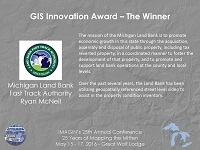 From 2012 and prior, this award was titled the GIS in Government Innovation Award. 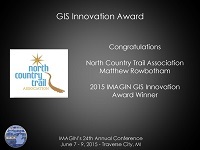 To nominate an organization for the GIS Innovation Award, follow the link below.